Door Plaque. Train crossing red bridge. 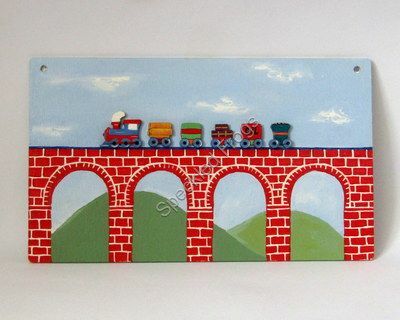 Door/Wall plaque with miniature wooden train decoration applique.